If you are trying to elevate your brand to retail status, custom relabel printing is key. Many retailers won’t take your brand seriously if you don’t have your stuff re-labeled. We’ll make it happen. Your single color tag is printed with all the required legal information. We’ll even cut out the manufacturer’s tag. This does take some extra time so it may add to our normal turn around time. If so, we’ll let you know in advance. 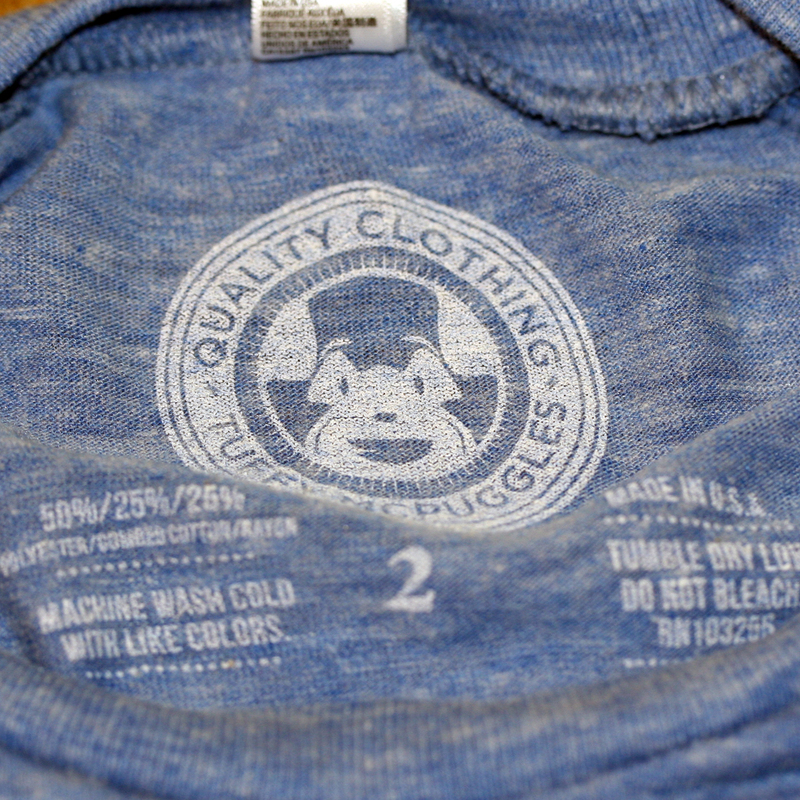 To prevent the ink from bleeding through to the back, your tags get printed with a minimal amount of ink. This also improves softness. However, if we are printing a garment label on a thin, light colored or sheer tee there is a good chance the print might show through. It’s inevitable with some shirts. Note: Relabel is only available when added to an existing print job.